Even though there is still so, so much to do, I thought I would share a little bit of my progress in Willow's rom so far. If you follow the shop on Instagram (@yellowdandyshop) or Facebook then you probably have seen a couple of pictures already! I really enjoy coming up with ideas for them, and I love the idea of them having rooms that they love! A place that is both practical (storage and all the other bits) and also just lovely, a place that makes them (and me) smile and feel great about! 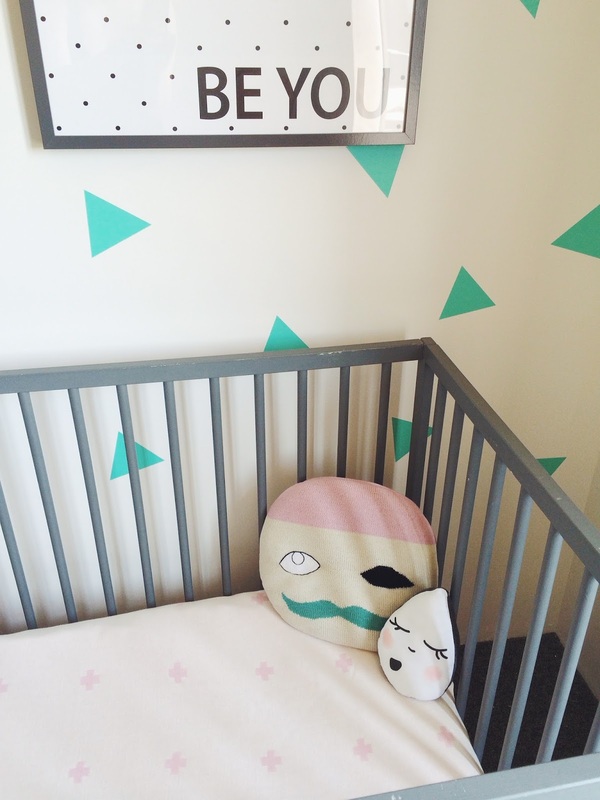 Her cot is a hand me down from her big brother that I painted grey, but it needs a bit of a touch up! 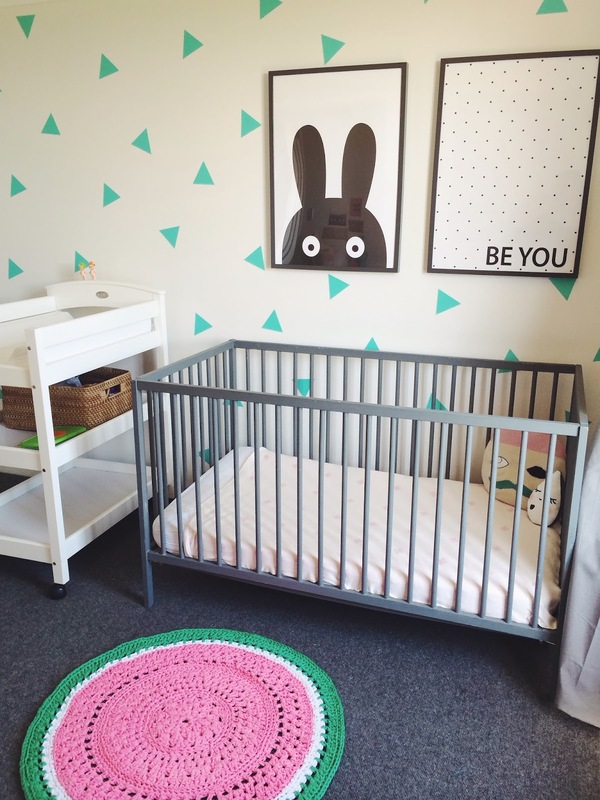 5 comments on "Kids room design: making progress in Willow's room"
Looks great Karen. I'll be on the hunt for more sonny angels from you soon. I'm finally decorating the play corner and bubs room properly. Such an incredibly cute room! Have been hunting good decals to avoid the whole wallpaper thing - I love wallpaper but not the almost permanence of it all. Love that peeking bunny looks a bit like totoro! Ps do you sell decals?! You did a great job on the wall! What a sweet idea! Always so creative! Love it! 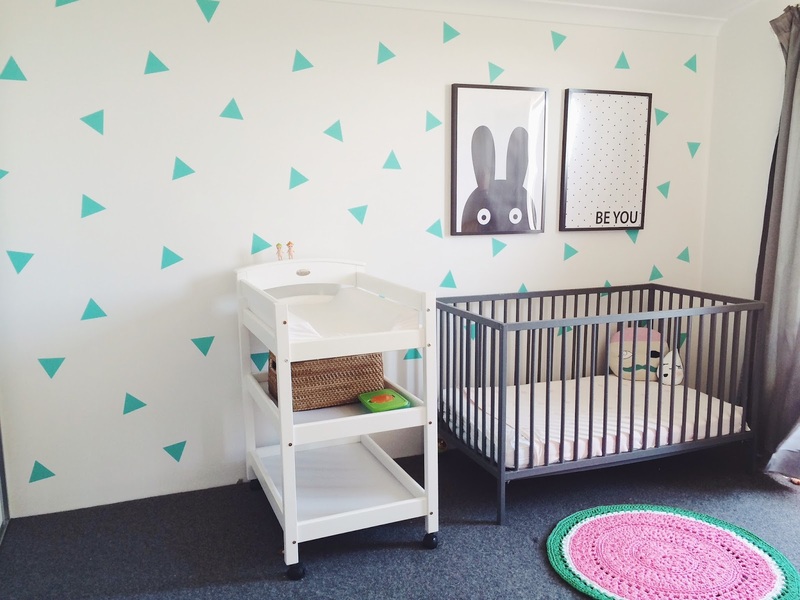 Love the triangle wall decals!